The candidate has not shifted her strategy to respond to the changing reality in the international system. Only two years ago, its chief, Adm. D.K. Joshi, put in his papers owning moral responsibility for mishaps involving two submarines. The toppling of a warship and its destruction in Mumbai’s naval dockyard on Monday is a reminder of how ill-prepared the Indian Navy appears to be in carrying out routine maintenance work. This can hardly be the way forward for a maritime force aiming in the near future to be a blue-water navy capable of sailing the seven seas, intervening when it must for purposes of diplomacy, reasons of war or to alleviate disaster. It was a seemingly freak accident that led to frigate INS Betwa tipping over to the left while undocking, killing two and injuring 14 others, while undergoing a medium maintenance refit. The 3,850-tonne Brahmaputra class guided missile frigate is practically a write-off. Fortunately, its weapons systems were not loaded, or the cost of replacement would have been in the region of Rs 6,000 crores, by no means a small sum. Every procurement proposal has three basic constituents: the first is the Services Qualitative Requirements (SQR) of the item to be bought. The second is the ‘categorisation’ or the way the item is to be procured, and the last is the grant of ‘acceptance of necessity’ of the competent authority. Thereafter, the request for proposal (RFP) is floated to eligible firms to bid for the equipment. Thus the SQRs are the cornerstone of an acquisition proposal. Could India's Bold Nuclear War Plan Survive a Clash with Pakistan? Massive retaliation in India's nuclear doctrine fails to serve the objective of nuclear deterrence. Debate on the review of India’s nuclear doctrine heated up recently after Defense Minister Manohar Parrikar’s "personal" remarks on the no-first-use element of the doctrine. Parrikar’s statement provoked responses from former Indian government officials, politicians, domestic experts and international observers, which delved into another critical element of the doctrine – massive retaliation. Disagreements on whether massive retaliation serves the stated purpose of nuclear deterrence do not take into consideration the changing political scenarios which should ideally influence New Delhi’s nuclear weapons policy. Recalibration of roots, rationale and relevance of massive retaliation, with consideration of recent developments in the India-Pakistan nuclear dynamic, leads to the conclusion that massive retaliation fails to serve the stated objective of nuclear deterrence. If massive retaliation is retained in the nuclear doctrine, it will be due to the lack of a better alternative, not because of its efficacy as a strategy of deterrence. At the halfway mark in the demonetisation effort to get old Rs 500 and Rs 1,000 notes back into the system, nearly Rs 9.85 lakh crore has already made it back to bank coffers. This is said to be worrying the government, for it means by the deadline of 30 December, almost all the demonetised currency will be in. By 3 December, 63 per cent of the demonetised currency outstanding was back, a Times of India report notes. As on 8 November, Rs 15.44 lakh crore was the amount of Rs 500 and Rs 1,000 notes with the public, the government had informed us a few days ago. This has two implications, one of which could be dangerous. First, it could mean all the black money is close to finding its way back to banks, possibly through laundering operations. But this is the good news. The government could still benefit if the taxman manages to squeeze lots of taxes from these deposit holders. By using low –level religious zealots with rudimentary weapons training to carry out suicide attacks against military outposts is a win-win situation, whichever way the operation pans out. However, one must grant the Pakistani military leadership full points for having taken this concept to greater heights with the added use of proxy combatants that even the Chinese will find difficult to scale. The spate of attacks in the recent past at Pathankot, Uri, and now, Nagrota, aimed specifically at military establishments is a classic example of this strategy at work. By using low –level religious zealots with rudimentary weapons training to carry out suicide attacks against military outposts is a win-win situation, whichever way the operation pans out. If it succeeds, as it did in Uri, or is even partially successful, as it was at Pathankot and in Nagrota, the Army is shown up in bad light; doubts are created as to its quality of training, motivation and abilities and, worst of all, it is bound to be afflicted with a loss of self -belief and lowered morale. U.S. General John Nicholson, the commander of international forces in Afghanistan, said the biggest challenges facing Afghanistan next year are leadership and corruption in the Afghan military. “These do plague some portions of the Afghan security forces, and what it has led to is a poor sustainment of soldiers in the field," Nicholson said at the Pentagon Friday. The general said ineffectiveness and corruption in the supply system have left some Afghan soldiers on outposts without water, food or the ammunition they need to fight. Nicholson said he has spoken "very frankly" with Afghan military and government leaders about these problems and will focus on implementing solutions, including the replacement of corrupt leaders, during the winter campaign. Afghan forces still have control over roughly two-thirds of the population, but the numbers have dropped slightly, from 68 percent to 64 percent, since September. Ambassador Bloch, you came to the United States from China at nine years old and became the first Chinese and Asian American U.S. ambassador in American history. Based on your decades of service in public diplomacy and the private sector intertwined with your personal history, what elements are essential to strengthening U.S.-China relations? My experiences have taught me that education and exchange are key to building a stable U.S.-China relationship. I am proud to be Chinese and American, Chinese by birth and American by upbringing. Having Americans study in China and educating the Chinese here are the best ways, by far, to build mutual understanding and to remove the greatest impediment to a stable U.S.-China relationship – the distrust that exists between the two countries. 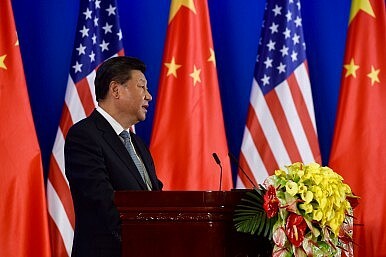 Those who can navigate both China and America – linguistically, culturally, and perceptually – will be better poised to alter the trajectory of the U.S.-China relationship for the better. A firm and clear across-the-board stance against an increasingly aggressive Beijing is long overdue. “America doesn't win anymore” was a constant Donald Trump campaign theme and a situation he pledged to reverse. But before we start winning again we need to stop losing — especially with China, which candidate Trump named as the prime exploiter of America's diplomatic naiveté. While he focused on trade and currency issues, we have been losing to Beijing even more dangerously on national security issues. North Korea, the South China Sea and Taiwan are three Asian flashpoints where China's interests are inimical to American interests and values—any one of which could suddenly bring the United States and China into military conflict. The president-elect has been getting offers of advice from various sources on how to ease U.S.-China relations. Unfortunately, under the rubric of “realism,” all carry the faint whiff of defeatism: forego trade sanctions; concede some of China’s extravagant claims in the South China Sea; abandon Taiwan; set up a G-2 or U.S.-China condominium. BEIJING — China’s armed forces must be smaller but more capable, and if reforms are not properly carried out the military risks falling behind in its ability to wage war, Chinese President Xi Jinping said Saturday, as reported by state media. Xi unexpectedly announced in September that he would cut troop numbers by 300,000, or some 13 percent of China’s military, currently the world’s largest at 2.3 million personnel. The cuts come at a time of heightened economic uncertainty in China as growth slows and the leadership grapples with painful economic reforms. 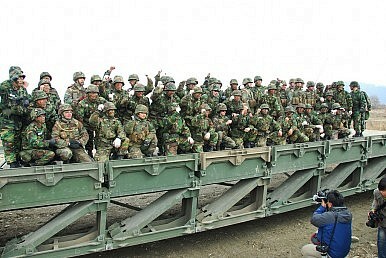 In October, hundreds of previously demobilized soldiers protested in Beijing. The move is part of a broader reform effort to modernize the military by moving away from the old Soviet-era command module and putting more emphasis on high-tech weapons such as stealth jets. Last month, China showcased its Chengdu J-20 stealth fighter for the first time with a flyby over Airshow China, an industry exhibition. In 2014, the military exhibited another such craft, the Shenyang J-31. China is developing both aircraft, not just for its own defenses but as an option to sell in competition with fighters made in the United States, Russia and Europe. The military capability and reach of Islamic State has deteriorated so much over the past year that the Iraqi government will now need to think long and hard about the day after. Iraq’s Prime Minister Haider al-Abadi and his ministers in Baghdad have focused most of their resources and attention on the immediate priorities of pushing Islamic State out of Mosul, consolidating the gains made by the Iraqi security forces, and preparing the international community with the immense financial burden that will be required to reconstruct the country once the war is over. The Iraqi Council of Representatives took a major step forward on the “day after” question last month when it passed a law that Sunni lawmakers are vehemently citing as further proof that the Shia-dominated parliament is intent on dragging Iraq towards a sectarian future. Thanks to the power of numbers, the Shia blocs were able to ram a law through the parliament that would incorporate the roughly 140,000 fighters of the Popular Mobilization Units into the regular Iraqi armed forces. Prime Minister Abadi is fully supportive of the plan, calling it a much-deserved recognition of the PMUs’ instrumental success on behalf of the Iraqi state against ISIS. 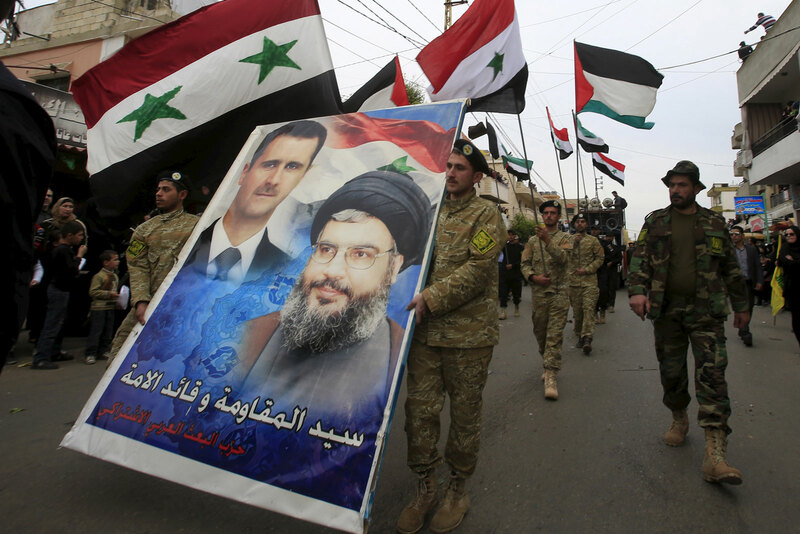 Sunnis who have been in the militias’ line of fire are naturally taking a much different position, a testament to the group’s often indiscriminate tactics on the battlefield and its habit of sweeping through liberated areas like a destructive freight train. This could be a turning point in the conflict. The fall of East Aleppo would give the regime control of the country’s five largest cities and the critical western part of Syria where the regime has its major popular support, now assisted by Russian air power and Iranian militias. Rebel groups would be reduced to a few strongholds in the north of the country and a few other remaining pockets—some around the capital Damascus. As the United States demobilizes its intelligence operation in Syria, the new administration needs to focus on helping its local allies deal with the flood of Syrian refugees over their borders. But first, the cautionary tale of the Palestinians. After the 1948 Arab–Israeli War, Palestinians fled the new state of Israel in the expectation that they would shortly return to their homes when the Arab armies scattered the Jews. Seventy-eight years later, over five million Palestinians live in the refugee camps administered by the United Nations Relief and Works Agency for Palestine Refugees in the Near East (UNRWA) in Lebanon, Syria, the Gaza Strip and the West Bank. The post-1948 Arab leadership kept the Palestinians un-assimilated to use them as a cudgel against Israel. Luckily, there is no PLO-like organization seeking to represent all Syrian refugees and stage a multi-decade war against Syria, so the challenge is to resettle the Syrians before they become Palestinians 2.0. Increased tension along the Line of Control (LOC), particularly in the wake of reported Pakistan-sponsored terrorist attack at Uri and Indian surgical strike in response, has left its mark on India-Pakistan bilateral trade which has reached a crisis point with Pakistan, according to media reports, suspending the import of cotton and some other agricultural commodities from India. As Pakistan has a fast expanding consumer market, low volume of bilateral trade is going to hurt India more than it can inconvenience Pakistan’s economic interests. There may be some reasons behind the argument proffered by a section of economic experts that India-Pakistan trade relations have shown so little growth over the years that the present spurt in hostilities will not subtract anything from the total quantum of bilateral trade volume. This may be true about the formal trade structure but unofficial trade between the two countries has registered phenomenal growth in the last decade proving the point that a policy of increased give and take between the peoples of the two countries might come in handy towards reducing mutual tensions. Unofficial India-Pakistan trade now amounts to $2,612 million which was only $345 million in 2003-2004. In 2015-16, India exported $2,171 million worth of goods to Pakistan. In 2003-04, this figure was only $287 million. On the other hand, Indian imports from Pakistan — worth $58 million in 2003 — have risen to only $441 million in 2015-16. 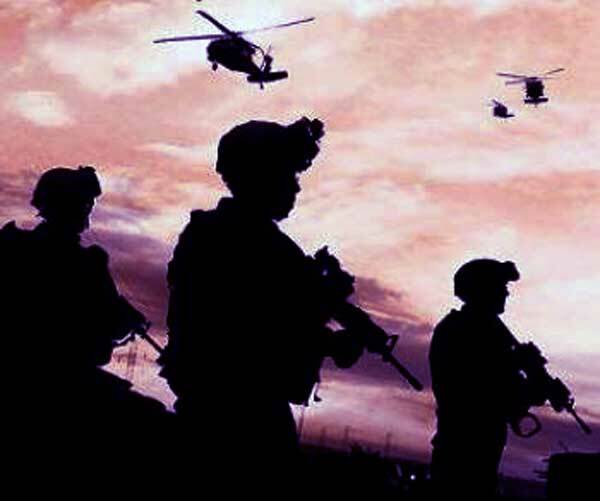 The devastatingly stunning impact in the immediate aftermath of the Nagrota terrorist attack evoked awe and shock- besides rushing the intelligence agencies to undertake an in-depth probe as to how the terrorists accessed their target destination i.e. whether the terrorists had journeyed through Kashmir, or, had infiltrated through the border fence at the LoC- or, through the international border in Jammu, did they make their way through a tunnel? How is it they remained unnoticed and therefore, unchallenged, till arriving at the site? How were they able to obtain fatigues authourised for security personnel? 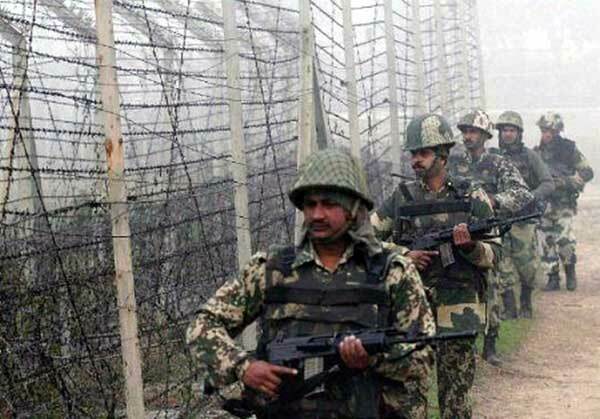 BSF officials had discovered a 80 meter long tunnel running across the India-Pakistan international border at Chamliyal. This discovery was made while some infiltrators were attempting to stage an attack near Samba. Post the Nagrota attack when it was found the that there weren’t any breaches in the barbed wire fencing-searches were made to find out what possible alternate means the terrorists could have adopted to access the spot. In this process the 80 meter long tunnel was discovered. The notion that drones make it easier for leaders to use military force has raised questions about the proliferation of drones globally, from groups like Human Rights Watch concerned about illicit uses of force to debates in the U.S. government about how to balance proliferation concerns and export policy choices. Discussion of these issues is understandable — the United States is perceived as having been relatively unconstrained with its use of drones around the world. President Obama stated that drones have become a ubiquitous ingredient in our strategy for combatting counterterrorism and are likely to remain so. The U.S. Army is now organizing the first unit in a new cyber warfare force that will be deployed in future combat zones and manned by "cyber soldiers," electronic warfare experts and (for the first time) good, old fashioned hackers. The detachment is led by Brig. Gen. Patricia Frost, Director of Cyber, Office of the Deputy Chief of Staff, Army G-3/5/7. In this position, she heads the new Cyber Directorate (which also covers electronic warfare) of the army's headquarters staff in the Pentagon. Gen. Frost has made her career in military intelligence and cyber warfare and is an acknowledged expert in her field. She's a graduate of the U.S. Army Military Intelligence Officer Basic and Advanced Courses; Combined Arms Services and Staff School; the Command and General Staff College and the U.S. Army War College. WASHINGTON — The establishment of an Army Cyber Directorate, the Rapid Capabilities Office and a nearly completed strategy are ushering in a more productive era in electronic warfare capability development, according to Col. Jeffrey Church, the chief of strategy and policy in the cyber directorate. The Army relies on the electromagnetic spectrum for everything from the individual soldier’s communications to precise weapons targeting and situational awareness, but the Army’s development and acquisition efforts for electronic warfare capability has been stagnant while other countries like Russia have mastered the use of the electromagnetic spectrum in conflict. “We are talking about getting things into our POM [program objective memorandum] POM, we are talking about getting things funded, not using OCO [overseas contingency operations funds],” Church said Tuesday at the Association of Old Crows symposium in Washington, DC. The biggest indicator that the Army is getting serious about EW is its creation of the cyber directorate with a full-time general – Brig. Gen. Patricia Frost – which is no longer a part-time job for the operations directorate, Church said. ** What would it take to declare the electromagnetic spectrum a domain of warfare? 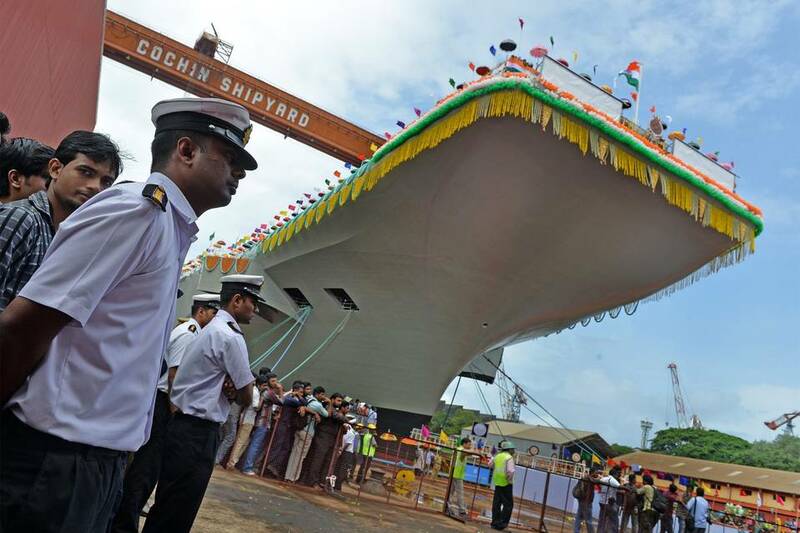 NEW DELHI—When top American naval engineers recently inspected India’s first locally made aircraft carrier they expected to find a near battle-ready ship set to help counter China’s growing sway in the Indian Ocean. Instead, they discovered the carrier wouldn’t be operational for up to a decade and other shortcomings: no small missile system to defend itself, a limited ability to launch sorties and no defined strategy for how to use the ship in combat. The findings alarmed U.S. officials ​hoping to enlist India as a bulwark against China, people close to the meeting said. Sales of arms by American defense companies have declined for the fifth consecutive year in 2015, while European firms saw their sales jump. Despite the drop, U.S. companies are still dominating the global arms market, selling $209.7 billion worth of arms in 2015, according to the Stockholm International Peace Research Institute. That's 3% lower than in 2014, but still 56% of arms sales globally, as documented by the institute. The data show European and Asian arms producers are slowly eating into U.S. market share. The drop in U.S. sales is a consequence of government-imposed spending caps. "There are still limitations on military spending, even though the money is there, it is not spent on defense contracts," said Aude Fleurant, the director of Arms and Military Expenditure Program at the institute. Russian arms sales grew 6.2% in 2015, after skyrocketing over 48% in 2014 and 20% in 2013. Russia is investing heavily in upgrades to its military capabilities. President Vladimir Putin plans to spend more than 20 trillion rubles ($700 billion) bringing equipment up to date by 2025. Recent media reports quoting MoD sources indicate that the military has prepared detailed blueprint for procuring unattended aerial vehicles (UAVs) over the next decade; some 5000 UAVs are to be procured through the ‘Make in India’ initiative, indigenously through joint ventures (JVs) with foreign companies at an estimated cost of US$3 billion. 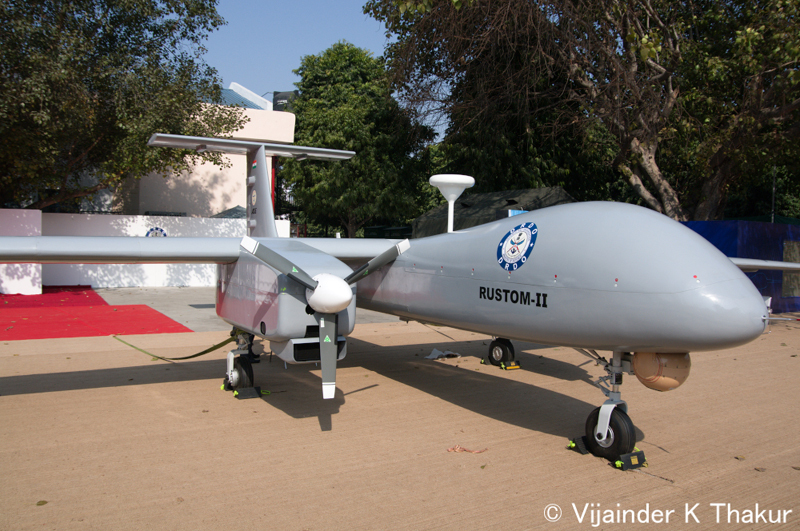 Currently, the military only operates UAVs imported from Israel (Searcher Mark I, Searcher Mark II, Heron and Heron), in addition to DRDO developed Nishant UAV. Now the Army, Navy and Air Force plan to buy tactical UAVs, high-altitude long-endurance (HALE) UAVs, vertical take-off and landing (VTOL) UAVs, and medium-altitude, long-endurance (MALE) UAVs. So far, the development of UAVs was restricted to the DRDO establishment that witnessed prolonged delays, many hiccups and several crashes in developing the indigenous ‘Nishant’, which at one time was being junked altogether. NEWS ANALYSIS: The rules of traditional warfare don't apply in the world of cyber war, even to the point where it's hard to tell if the war has actually started or with whom you're fighting. PITTSBURGH, Pa. – The next world war may have already started, but the chances are that you may not have noticed it. That's because the new world of cyber warfare is taking place out of sight in places that only the initiated can see. Even then, it's not always clear who the participants are. Nor is the damage that regularly occurs in the war clearly visible and the only way you would see it is when the war spills over into networks you use. But the only thing you would notice is that your internet connection is running slower that normal. That was a major conclusion by a panel of experts at the Carnegie Colloquium here on Dec. 2. The topic at the Future of the Internet: Governance and Conflict conference was "cyber deterrence by denial and the vulnerabilities debate." Despite the lengthy title, the panelists were discussing the manner in which a cyber war might be conducted. Julian Assange, William Binney, James Bamford, and I — among many others who actually know what is going on and insist on telling the truth, always — could not be clearer: the Russians did not hack the DNC or Podesta emails and the Russians did not hack the US electronic voting machines. Jim Clapper has lied on multiple occasions, his latest two big lies are that the Russians did it, and that the voting machines are not hackable. NOTE: At Jim’s level, he does not actually touch real sources and methods. He reads reports written by others, such as NSA, and has no independent means of determining whether those reports are truthful or not — nor does he care, at this point in his career, his last quarter century has been about “keep the money moving,” not about providing evidence-based decision support for democratic governance. The media is not stupid. 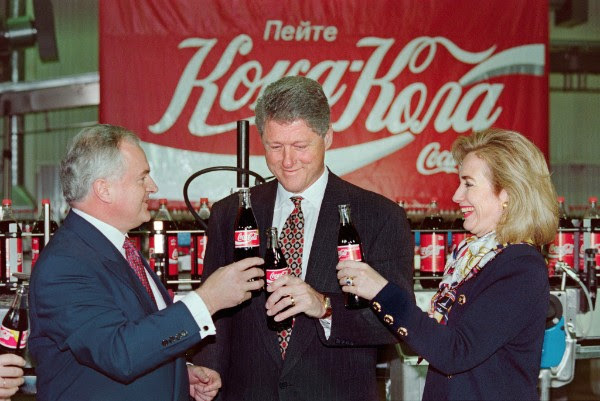 The media is intelligent and actively complicit in what has been a quarter century of lies from the US Government (USG) to the US public (“the deplorables”). While 95% of all USG employees are good people trapped in a bad system, they are all terrified of losing their jobs to a virtual neo-fascist dictatorship in which the two-party tyranny works as one, against anyone who challenges their right to help Wall Street loot the public treasury at a 95% discount (the two-party tyranny collects a 5% kick-back for all delivered “earmarks” and policies).